Behind our experience and expertise are values that we uphold in all our works. Our team of electricians always delivers their best in the field. This is to ensure that our work is of top quality. We focus on fulfilling the needs of our clients, so our work will not be done until you are satisfied with our job. 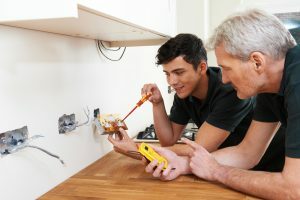 PBN Electrical only hires the most qualified electricians to provide for your electrical needs over the years. Our team is well-trained to be efficient and professional in our work. This is to make sure that you get the best solutions for your electrical problems with our expertise. PBN Electrical is not a big company that expends on useless resources. We see to it that our services are affordable for the locals because we aim for our help to reach many households and businesses. You do not need to worry about unreasonable labour fees or spending on materials that are not really needed because our work is affordable and cost-efficient. We do not only care for people but we also put into mind the welfare of our environment. We use materials that are environment-friendly and we make sure that the surroundings are kept clean and unharmed as we do our work. We also promote energy efficiency by giving expert advice on how our clients can save electricity. One thing you can be sure of with PBN Electrical is that we do our work right away. We understand the urgency of electrical repairs as this can pose a threat to your loved ones’ safety and also disrupt your activities. Once you schedule an appointment with us, our professionals will arrive in time and make the most out of every second in doing the work.